The vast number of people fleeing famine and drought in Somalia for neighbouring Kenya overshadows the fact that each journey begins with a tough decision to leave that is prompted by specific events and is followed by a series of more mundane choices, such as what to pack. 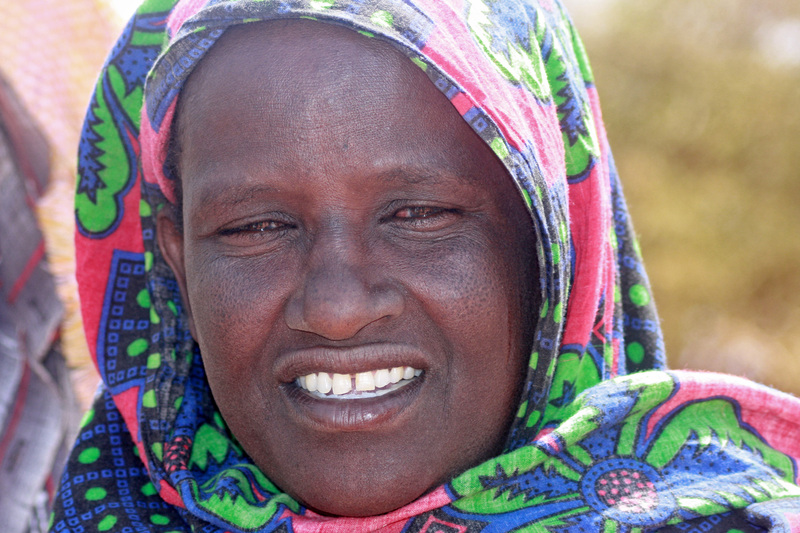 IRIN recently discussed the details of their flight with several families on the Kenya-Somalia border. “We have been experiencing droughts since 2008, 2009,” explained Abdullahi Ahmed, as he sat under a tree with his family in the Kenyan town of Liboi, after a 300km journey. They had walked from their village outside Baidoa - a town controlled by Al-Shabab militia in the Bay region – where he grew cash crops and raised livestock. After two failed rains, “I gave it another year,” he said. But the rains failed again: in late 2010 his animals died. Like many refugees, he had heard from radio reports and other travellers that help was available in Dadaab, the world’s largest refugee complex, in Kenya. Some NGOs in Somalia provide food to the needy, said another refugee, Hassan Mohammed, a pastoralist who had walked 700km from his home near Mogadishu, the capital. In Somali society an individual’s independence is greatly valued. When any decision affecting the household is taken, every member of the family’s opinion is taken into consideration. Aden Buale, 80, spat on the ground as he mentioned Al-Shabab. "Those people are evil. We heard on the radio that humanitarian people could not come and help us but help was available on this side of the border. Instead of waiting to die, we thought, ‘We have to walk’." Some of those with surviving livestock sold them for cash, often to buy a donkey and cart to transport the elderly and children. But Mohammed and his wife, Fatima, decided to take turns carrying their five- and six-year-old. Their other five children, all teenagers, could walk by themselves. During a security inspection in Liboi one refugee opened a small hold-all to reveal a hijab, a piece of silky fabric and plastic flip-flops. An 80-year-old clutched his almost brand-new umbrella. Almost all the refugees in Liboi held plastic bags or tiny suitcases packed with clothes. Some had plastic-wrapped mobile phones tied to their waists. Empty jerry cans and cane mats formed the bulkiest part of their luggage. “We have left the most important belonging, our home, behind. The rest of this does not really matter,” said Mohammed. Buni Ali Borow and family, whom IRIN met in the Somali town of Dolow after their 18km trek, decided to begin their journey at night, so as to set off unnoticed. Some packed tea in the jerry cans and carried whatever food they had – mostly biscuits, which were rationed. Each child got two a day, the adults one. People in the settlements en route would help out with whatever they had. “Everyone shares in our culture,” said Mohammed. In many instances, the refugees were fortunate to travel in the Muslim holy month of Ramadan, when charity is greatest. Towards the end of their journey, Mohammed said, “A driver took pity on my family and he gave us a lift in his car for some distance.” The driver even bought them a 15kg bag of rice. Others came across Muslim organizations distributing dates. When they arrived in Dobley, a town between the Kenyan and Somali border near Liboi, they received boxes of biscuits from the UN World Food Programme, which helped them on the last leg of the 20km journey to Liboi. In the past two months since famine was declared in parts of Somalia, aid agencies estimate that at least 1,500 Somalis arrived in Dadaab every day, with the UN Refugee Agency estimating the total at 70,000 people. Agencies say the number has slowed down in the past two weeks to about 700-800 a day.